Airlines has been our go to place whenever we (group of friends!) decide to spend a relaxed and peaceful evening on a weekend, sipping on that hot coffee and taking shelter under your own cars is a nice experience altogether. 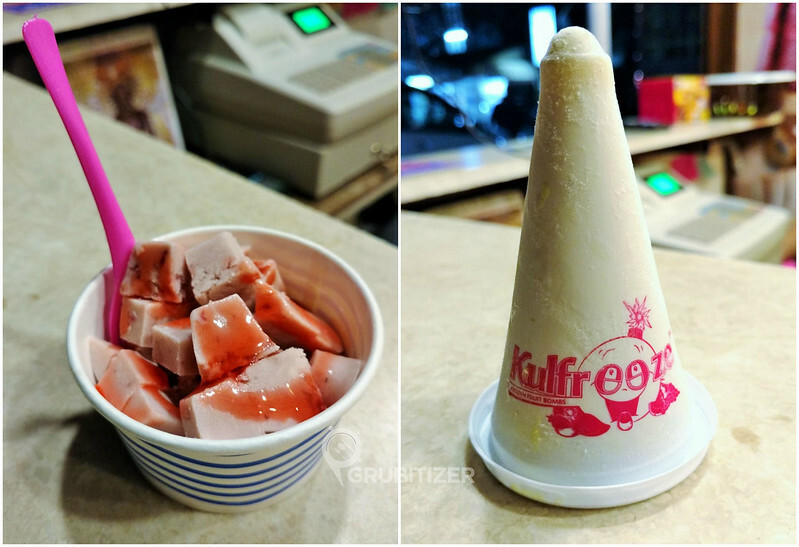 There are many food joints here that can keep your tummies happy and this post here is going to talk about the latest addition Kulfreeze! This humble shack like outlet specializes in fruit bombs which actually contains no preservatives, artificial color or essence, sounds like a healthy way to enjoy your favorite summer dessert rite?! 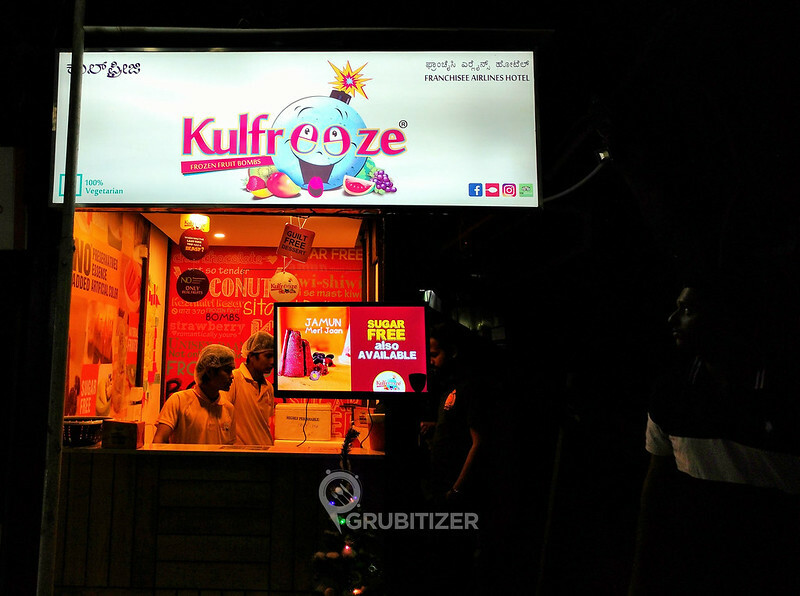 Kulfreeze is a brand native to Siliguri and Surat, their plan to extend to South India has resulted in this particular outlet which is now serving Bangaloreans with guilt free frozen dessert experience. 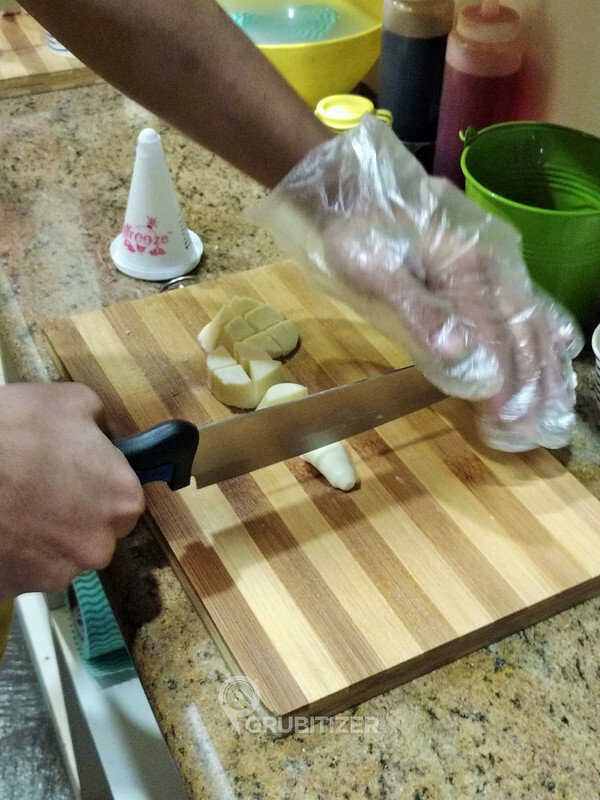 They are well known for preparing fruit bombs using the best farm picked real fruits available. I was accompanied with a couple of friends to try out their offerings which was on an invite. 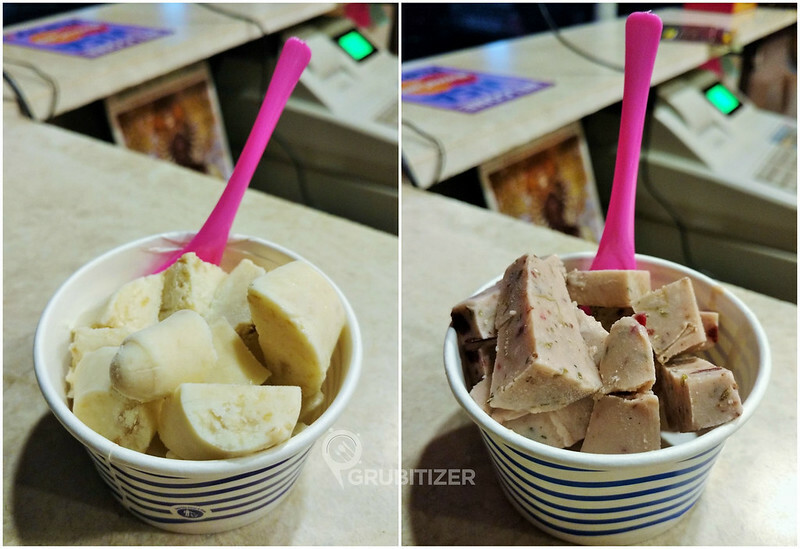 The concept is simple, you select a flavor from their menu which has some quirky names and the staff then cuts the Kulfee into small pieces and sprinkles seasoning which goes best with that flavor. We started with the first round which had Sitafal Delight, Unisex Paan and ‘Not so tender Coconut’, this itself was enough to prove that what they claim is actually true, you can literally feel the true nature of the fruit that your fruit bomb is made of. 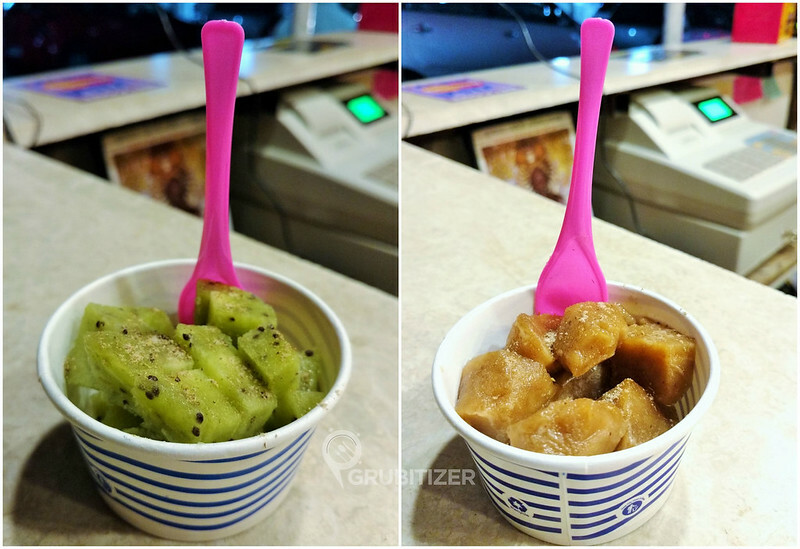 Next up were Kiwi Shiwi, Jamun and Imli Bai! Imli bai’s texture is so much similar to the actual Imli that we are used to having. 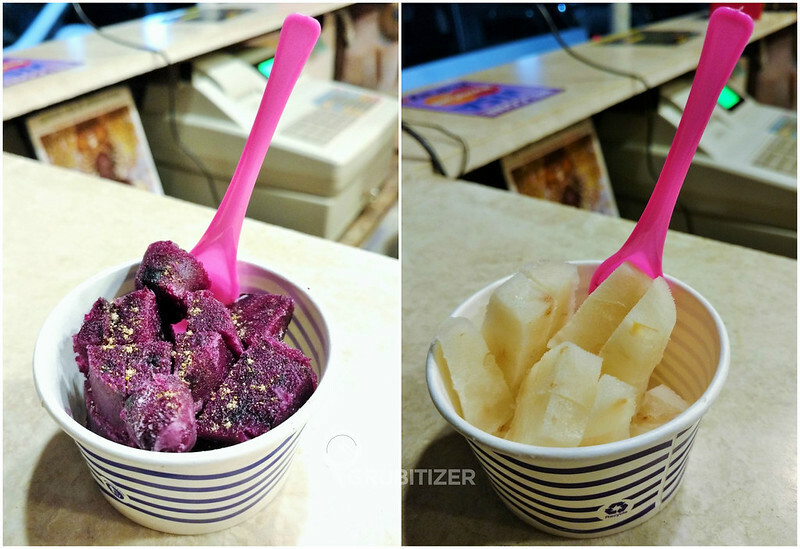 Kiwi and Jamun are a good buy if you prefer having something which isn’t too sweet. Kashmiri Kesar, Strawberry and Chickoo were some of the other flavors we enjoyed while talking to Mr Akhil who passionately explained how they plan to start delivery of their products through the usual delivery companies and the available takeaway options which come in family packs (250g). 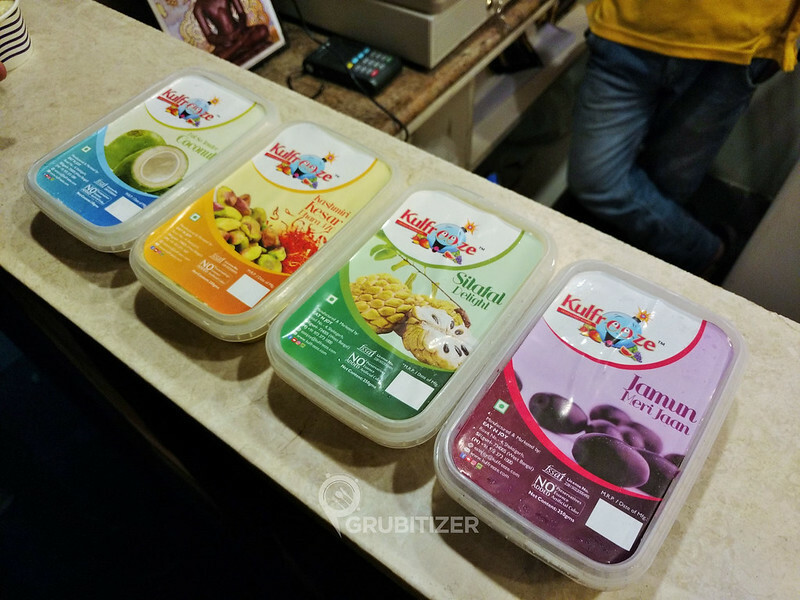 What’s best here is that they even have two options which are sugar free, a good buy for people who are always on a lookout for sugar free frozen desserts. 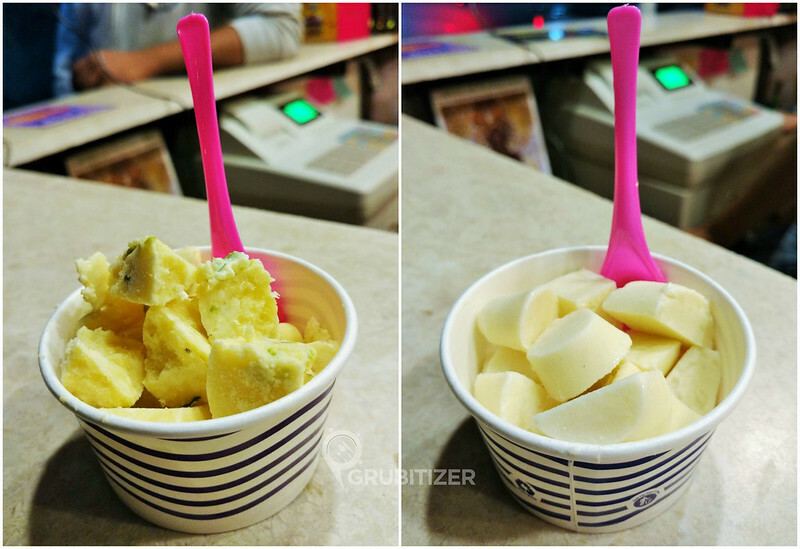 So overall, if you are in a mood to enjoy fruit bombs in Bangalore then Kulfreeze is the place to be in! The current location of this outlet makes it even more interesting, I heard they are planning to expand soon and come up with a proper full sized cafe with more options on their menu… I just hope it is closer to my house *Selfish Me* !! Next Post: 48 East – Gourmet Asian Food! Now that’s Yummylicious ! Would want to try it out. Awesome pics.